The 2019 Lexus UX 200 is built around a responsive 168 horsepower four-cylinder engine and front wheel drive. It offers top of class standard equipment at the very competitive starting MSRP of just $37,100. This model will also be available in a performance-oriented F SPORT configuration. 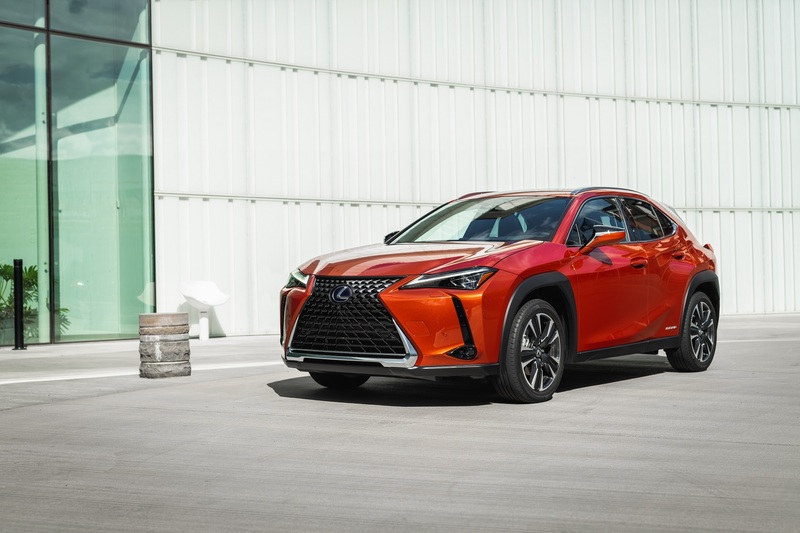 The 2019 Lexus UX 250h adds the newest Lexus all-wheel drive technology – known as eAWD – plus the efficient power and low emissions of a 175-net horsepower self-charging hybrid electric system. Compared to the UX 200, this model delivers additional all-weather driving confidence, plus more horsepower and better fuel efficiency, for just $2,600 extra – with a starting MSRP of just $39,700. This model will also be available with a choice of upgrade packages, including a Luxury package and two F SPORT trims. Regardless of what’s under the hood, the new UX is tailor-made for the urban explorer. This all-new model combines the driving dynamics and agility of a sport-hatch with the versatility of a compact SUV. The UX series expresses brave styling and craftsmanship from every angle, offers the peace of mind that comes from the Lexus reputation for quality and safety, and keeps driver and passengers connected to the people and things that matter to them with state-of-the-art in-vehicle technologies. To honour the arrival of this urban explorer, Lexus will be celebrating in the city of Montreal, with an art display featuring the city’s best artists: MC Baldassari, Jason Botkin, Marc Sirus and Le Monstr. The UX 250h multi-artist collaborative live art installation will be displayed at Viger Hall. Celebrate the city, by sharing a photo of the display with #LexusUX on social media for a chance to win one of the urban Lexus UX inspired paintings. The UX 250h headlines an extensive display of Lexus luxury coupes, sedans and SUVs at the auto show – including more than a half-dozen self-charging hybrid models. At the Lexus booth, attendees will also have the opportunity to learn about electrification of the automobile, plus explore advanced yet intuitive Lexus technologies for connectivity, entertainment, and safety – including the newest bundle of active safety systems, Lexus Safety System + 2.0. The Montréal International Auto Show takes place January 18-27, 2019 at the Palais des Congrès in Montréal.